Home / _Television / star-trek-discovery / StarTrek / On "Star Trek: Discovery," Why is Michael Burnham Named Michael? On "Star Trek: Discovery," Why is Michael Burnham Named Michael? 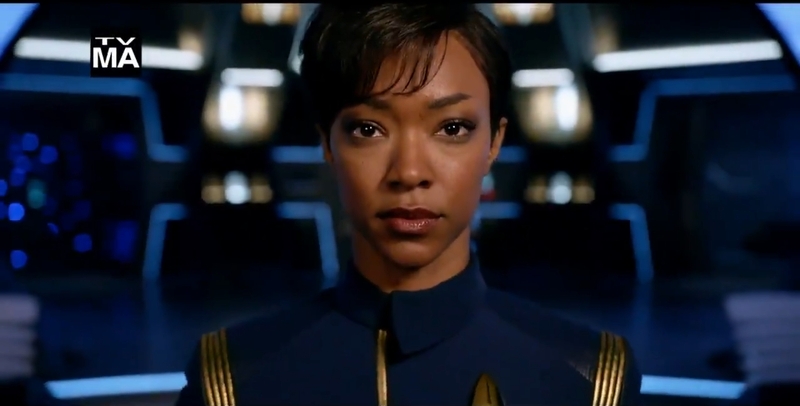 One of the most surprising things about Star Trek: Discovery is the name Michael Burnham. It wouldn't seem like such an unusual name if it weren't for the fact that the name's owner is an African-American woman. Why did the show decide to give the female lead a typically male name? Here's the secret behind it. Star Trek: Discovery was developed by Bryan Fuller who became the showrunner. Fuller had a long history of writing episodes and developing stories on Star Trek: Deep Space Nine and Star Trek: Voyager and became a co-producer for Voyager's seventh season. However, Fuller is better known for developing other TV series like Dead Like Me, Pushing Daisies, and Wonderfalls. On all those shows, Fuller has made a habit of giving women masculine or unisex names. On Dead Like Me, a woman was named George (Ellen Muth). On Pushing Daisies, Anna Friel played a woman named Chuck (Anna Friel). On Wonderfalls, Caroline Dhavernas was Jaye. In developing Star Trek: Discovery, Fuller decided to do the same thing. There actually have been some famous women named Michael. Michael Sneed was a gossip columnist for the Chicago Sun‑Times, and a woman named Michael Steele played bass for the Bangles. Emmy winner Michael Learned was an actress on The Waltons, and Michael Michele appeared on ER. The show also settled on Michael because of the Biblical archangel Michael. What do you think of the name Michael Burnham? Let us know in the comments! Haven't seen Star Trek: Discovery? Check it out with a free trial on CBS All Access!